With both Renegades and Thunder firmly in the running for a play-off place, the 46th match of Big Bash League 2018-19 being held at the Docklands holds the utmost importance for both teams. While the Renegades put on a bowling master-class against the Perth Scorchers, Sydney Thunder replicated their opponents's efforts albeit with the bat, as a Callum Ferguson hundred took them home against the very same opponents. With both teams boasting of household names such as Shane Watson and Aaron Finch, this match is sure to be fought very closely between the two. Cameron Boyce, Dan Christian, Tom Cooper, Zak Evans, Aaron Finch, Marcus Harris, Mackenzie Harvey, Jon Holland, Tim Ludeman, Joe Mennie, Mohammad Nabi, Kane Richardson, Usman Khan, Will Sutherland, Chris Tremain, Beau Webster, Cameron White, Jack Wildermuth. The Renegades were rampant in their win over the Scorchers with Chris Tremain and Daniel Christian running riot with wickets at regular intervals. With Cameron White's injury, either of Beau Webster or the fit-again Jack Wildermuth could make a return to the side. Tremain should keep his place with a three-wicket haul to support his cause. Much is expected of Aaron Finch at the top of the order. Possible XI: Finch(C), Harvey, Harper(WK), Cooper, Nabi, Christian, Wildermuth/Webster, Tremain, Richardson, Boyce and Gurney. After a brilliant win over the Perth Scorchers, the Thunder are forced to make a change with Matthew Gilkes injured. Baxter Holt is set to make his BBL debut alongside Shane Watson or in the lower middle order. The bowling unit looks fairly settled with the possibility of McAndrew being replaced with Arjun Nair to bolster the batting. Possible XI: Watson(C), Devcich, Ferguson, Sangha, Sams, Green, Holt(WK), Jordan, McAndrew/Nair, Fawad and Sandhu. Wicket-keeper: Sam Harper is the obvious choice for this slot with uncertainty of Baxter Holt's batting position. Harper is the highest scoring Renegades batsman this season and with form on his side as well, he would be the ideal pick. Batsmen: Aaron Finch and Shane Watson are amongst the best in the world and are must haves in the fantasy team. Jason Sangha has been good for the Thunder, and along with Callum Ferguson, would be a viable option as well. All-rounders: Anton Devcich has been good in patches during his stint for the Thunder. His blistering batting along with his handy spin makes him an invaluable pick for fantasy teams along with Daniel Christian and Mohammad Nabi. Daniel Sams has fallen off the radar of late and could spring back to form in what is a crucial match for the Thunder. Bowlers: Harry Gurney and Chris Jordan joined their respective teams in between the season and have slotted in well. Both of them are very useful selections along with the likes of Kane Richardson and Fawad Ahmed, who have been among the wickets consistently. Captain: Aaron Finch and Anton Devcich are the front-runners for the mantle of captain with their ability to take the game away from the opposition. Other options also include Shane Watson and Mohammad Nabi. 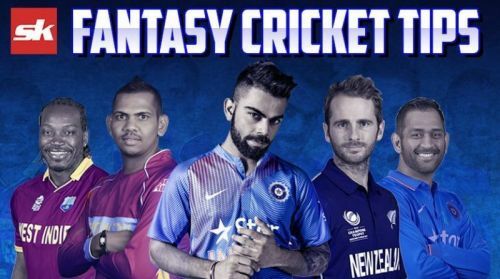 Fantasy Suggestion #2: Sam Harper (WK), Aaron Finch, Callum Ferguson, Jason Sangha, Anton Devcich, Daniel Sams, Daniel Christian, Kane Richardson, Fawad Ahmed, Chris Jordan and Harry Gurney. Captain: Anton Devcich.